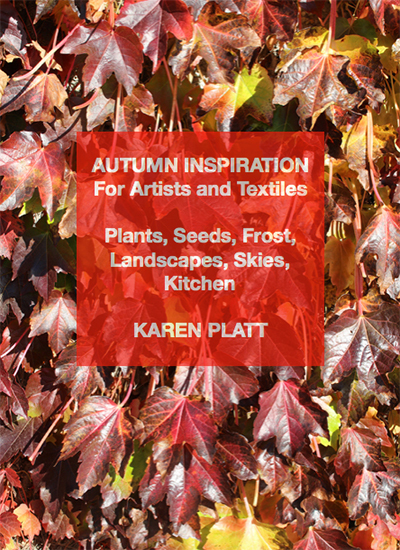 Autumn or Fall Inspiration For All Artists and Textiles. Over 350 photographs to inspire your art no matter what you wish to create. Sections include autumn plants, seeds, landscapes, frost, skies and kitchen providing inspiration. This pdf ebook also includes examples of my paintings, digital artwork and textiles. 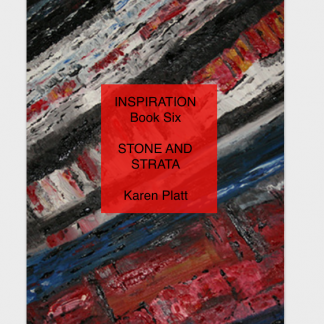 Use the images as you wish to inspire your own work, but the images in the ebook remain copyright Karen Platt and all original artwork is also copyright. If you produce a painting or textile exactly the same as one of the photos in the ebook that is ok. 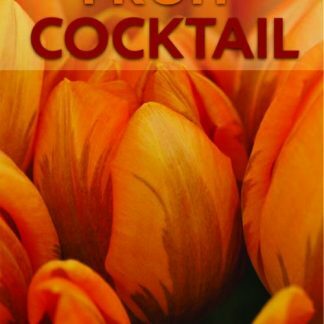 Autumn (fall) themes and autumn colours invoke an autumnal feel to this ebook. The photos have been taken over a number of years in different locations, mainly in the U.K. but also overseas in Tunisia, Madeira and Corfu. It is a celebration of plants, the harvest, a feast of colour and ideas. This is the ebook for everyone who loves autumn (fall) and finds this season inspiring. You need never run out of ideas for your own work ever again. This is an art ideas book, a place to find seasonal inspiration. Autumn is a season beloved by many. 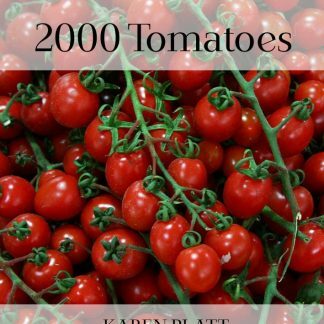 I hope this ebook brings you the joy of the season, the fruits of the harvest. For more in the series of Inspiration books on themes to inspire artists and textile artists see the website. There are currently six in the series. The next seasonal Inspiration book will be Winter. The ebooks are manual downloads, otherwise I would have to charge VAT. Depending where you live, please allow 24 hours for delivery to your email. Ensure you check your email you have used to pay as this is how the ebook will be delivered to you. They are sent as pfds and can be read on any computer or device.